Cedar, grapefruit, mandarin, sweet orange, bitter orange, lemon. Citrus fruits are a very ancient and mysterious family. Cultivated for at least 4,000 years, citrus fruits have generated 25 different species through crossbreeds, naturally or guided by man. 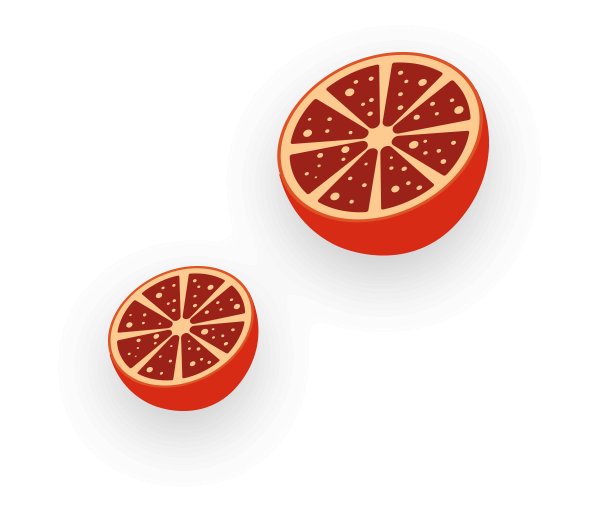 This family includes bitter oranges, sweet oranges, limes, tangerines, clementines, grapefruits, lemons and so on. The genealogy of these fruits is characterized by complex family relationships. In fact, what we commonly know as oranges are nothing but the result of crossings of three species: cedar, tangerine and pomelo. The sweet orange (Citrus sinensis), for example, is the result of a crossing between tangerine and pomelo. 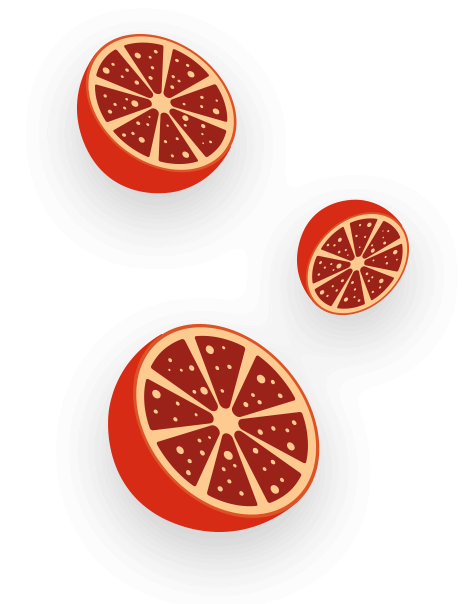 New crossbreeds (specifically with tangerine) and crops were made thanks to its intense and juicy taste, its sweetness and that particular slight acidity. Even the bitter orange (Citrus aurantium), also known as Seville orange, is not the ancestor of sweet orange as some people believe, but also a cross between tangerine and pomelo. Thus the Mammarancia family was born, a nice way to teach the history of this ancient, sweet, and juicy citrus fruits. The pomelo (Citrus maxima) inspired us. Belonging to the Citrus genus, the pomelo is the ancestor par excellence of this great family. It’s one of the three species all citrus fruits are obtained from, hence Mammarancia oranges’ grandfather! Mammarancia presents these typical Sicilian products on a journey through fantastic adventures and imaginary memories to let you discover the origins of oranges. Grandpa Leone, Grandma Clementina, Daddy Lello, Little Nina are waiting for you for this tasty and rich-in-vitamins Mammarancia adverture!